Before a group can enter the open society, it must first close ranks. By this we mean that group solidarity is necessary before a group can operate effectively from a bargaining position of strength in a pluralistic society. 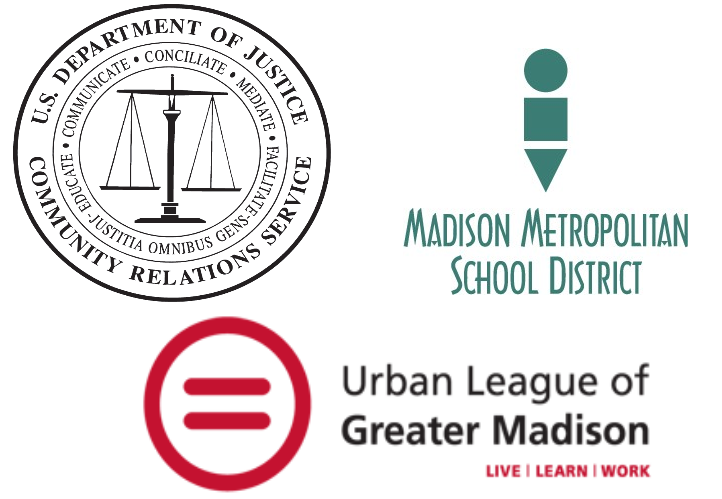 Last night I (TJ) was asked to leave the meeting on African American issues in the Madison Metropolitan School District (MMSD) advertised as being facilitated by the Department of Justice Community Relations Service (DOJ CRS) and hosted or convened by the Urban League of Greater Madison (ULGM) with the consent and participation of MMSD. I was told that if I did not leave, the meeting would be canceled. The reason given was that I write a blog (see here for some background on the exclusion of the media and bloggers and here for Matt DeFour’s report from outside the meeting). I gave my word that I would not write about the meeting, but that did not alter the request. I argued that as a parent and as someone who has labored for years to address inequities in public education, I had both a legitimate interest in being there and the potential to contribute to the proceedings. This was acknowledged and I was still asked to leave and told again that the meeting would not proceed if I did not leave. I asked to speak to the DOJ CRS representatives in order to confirm that this was the case and this request was repeatedly refused by Kaleem Caire of the ULGM. I do not believe that MMSD should have agreed to these conditions. Absent a formal mediation agreement, I also do not think that the DOJ CRS should have agreed or imposed these conditions (because of all the secrecy, I don’t know which it was). I think it is wrong and as Neil Heinen editorialized, ultimately counter productive. I am not sure that leaving was the right decision, but I did not want to risk creating an impression that I believed my presence was more important than any potential understandings of the issues involving African Americans in MMSD which may have been gained via the meeting. Prior to leaving I was assured that others who however loosely could be considered members of the media would also be asked to leave and that if they did not the meeting would be canceled. I have been told that Milele Chikasa Anana, the publisher of Umoja Magazine was in attendance throughout, so this apparently was not the case. Prior to deciding to (attempt to) attend the meeting, I had been thinking about a lunch I had with Charles V. Hamilton some years ago (that’s why he is quoted at the top). We talked at length about the theory and practice of pluralism. I have immense respect for the idea expressed in the quote that all groups — especially those who have experienced discrimination and disfranchisement — can more effectively advocate for their interests if they first, “close ranks,” find solidarity. Had that been the purpose of this meeting, I would not have attempted to attend. This meeting was not about “closing ranks.” You do not “close ranks” by inviting the DOJ CRS, MMSD’s leadership (who apparently facilitated) and members of the public who are not part of the group. This was something else. Despite the ban on the media, it was among other things a media event. But while we endorse the procedure of group solidarity and identity for the purpose of attaining certain goals in the body politic, this does not mean that black people should strive for the same kind of rewards (i.e., end results) obtained by the white society (italics added). I bring this up because the the ULGM Madison’s educational program, especially the Madison Prep proposal, seems to be more about seeking “success” in the terms defined by the dominant power structure than challenging the structure and how success is defined; more of the KIPP “work hard and be nice” version of education than Paulo Freire’s Pedagogy of the Oppressed. Others may applaud that choice or disagree with my interpretation, but if you are invoking group identities in the context of education I think this should be part of the conversation. It is a long and complex conversation involving balancing and also — in a public school context — giving students the knowledge and tools they need to make those choices for themselves and to be effective or “successful” whatever choices they make. It is also a conversation I don’t have time to continue this morning. In a related matter, this evening (9/9/2011) the Board of Education is holding special meetings to consider the revised Madison Prep planning grant application (link to Cap Times story, when I get a copy of the revision, I’ll post a link) . The open meeting, with public appearances is at 5:30 in the Doyle Building auditorium. I like open meetings. Brenda Konkel’s thoughts on the exclusion of boggers and media and her suggestion for how things could have been done differently. According to MMSD’s response to the Department of Education in reference to NCLB status, this selectively closed meeting was was the first meeting of a new “Parent Advisory Group to Close the Achievement Gap” (see here, page 20 of the pdf). Strange revisionist history and strange that the district apparently is convening meetings that do not allow the attendance of all Board Members who are interested (not to mention members of the public).